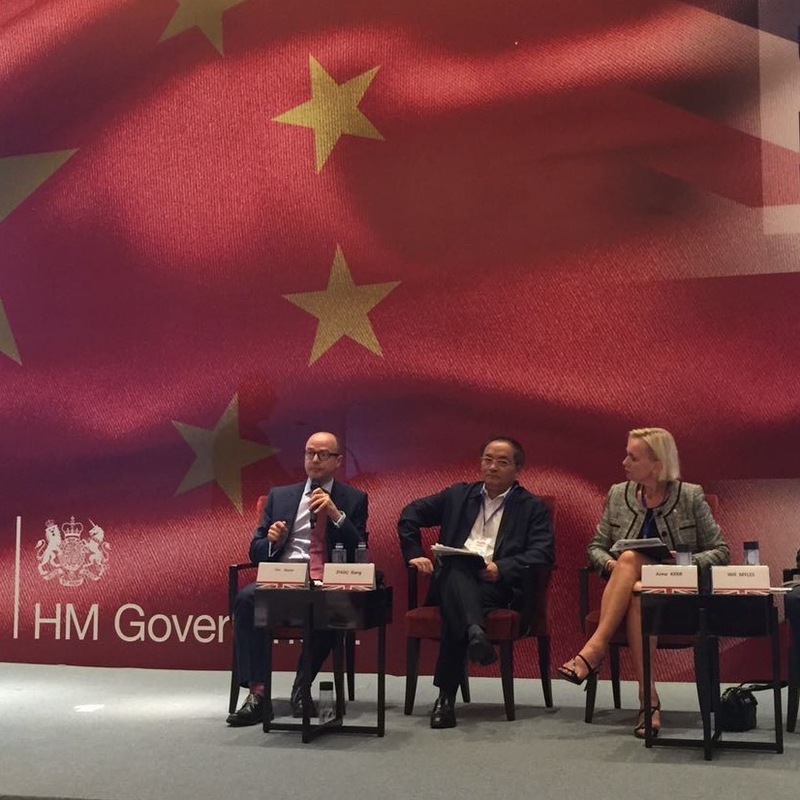 National government has strong convening power – look at this event today (UK-China Sustainable Urbanisation Conference). In the UK the national government has created the Smart Cities Forum to bring together those involved in policymaking, research and practice around Smart Cities. The Government Office for Science has brought together cities across the UK in its popular City Visions network. A Future Cities Forum could continue this effort, perhaps merging with the Smart Cities Forum to integrate the national effort. We have already heard about the need for common standards in urban policymaking. The British Standards Institute and the Future Cities Catapult are creating a set of Future Cities Standards to provide a common reference platform. Individual towns and cities do not work in isolation. They form networks, with people ebbing and flowing between them every day. National government can help emphasise the importance of network thinking, thinking about the national system of cities. Some projects are too big for local purses. And let local places get on with the process of delivery. We heard it said this afternoon (UK-China Sustainable Urbanisation Conference) that SMEs need large businesses to help them find work. I have a different perspective, born of twenty years’ experience in creating and running an SME, Space Syntax. First, not all small companies want to become large companies. Bigger is not always better, yet this is the conventional wisdom. Small companies are agile. Large companies are often slow and conservative. Second, small companies help large companies find work. It doesn’t only work the other way round. My company regularly introduces large companies – some of the largest in our industry – to new opportunities. Of course small companies benefit from the strength of large companies. But don’t let’s think the large companies are doing us a favour. Far from it. Notes for the Connected Cities Conference, London, 15th September 2015. How long has Space Syntax been going? Space Syntax was established as a consulting company in 1989. Good evening. It is an honour to have been asked to speak this evening and I’m grateful to Lady Sondes, Sir David Melville and Chris Wright for their invitation. As I prepared for this evening I wondered if I had ever given a talk on the water. I thought I hadn’t and then I remembered I once spoke at a conference on board a cruise ship between Genoa and Marseille. I’m pleased to say I’d trade the crystal waters of the Côte D’Azur for the muds of the Côte de North Kent any day. We are lucky to be here and lucky to be part of Faversham. Simon Foster mentioned the work I’m involved in that’s looking at the UK 50 years from now. This may seem like a long time but it’s a drop in the ocean/Creek for Faversham. Here we have at least 9,000 years of continuous human habitation. There aren’t many other places in the UK that can claim this. In fact we don’t yet know of any that can. And why did people first come here and then stick around for so long? It’s the Creek. First for the hunting: its game, its fish and its fowl. Then for its waterborne trade. We are one tide from London, where merchants could poise offshore, like greyhounds in the trap, waiting for fire signals from London to tell them their stock prices were high enough to catch the next tide in. This place is important. This water is important. Many of us feel this viscerally. Others still need persuading. How can we do that?